Mix 10 parts soil to 1 part flour. Slowly add water and mix slowly until the mixture becomes sticky like dough. Roll into a golf-ball size ball. Fill a tray with wildflower seeds. 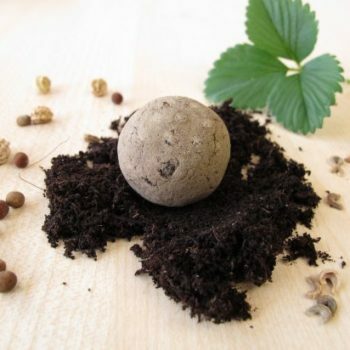 Roll your mud balls around until covered in seeds. Leave to dry for a day or two and then they’re ready to throw in your garden.